MTSU, League of Women Voters c..
MTSU toasts local dairy, named.. The MTSU Stormwater Program is offering three upcoming opportunities — with the first one on Friday, Sept. 7! — for students to volunteer their time to help protect the water supplies in the Murfreesboro/Rutherford County community. Thursday, Sept. 27, river cleanup and float along Stones River/Manson Pike Trailhead, 1208 Searcy St. Participating students are advised bring water and work gloves and to wear old shoes/boots with socks, long pants and in some cases long sleeves. Limited boots and waders will be provided. The MTSU Stormwater Program strives to raise awareness about the importance of water quality and to reduce the amount of pollutants that flow into the water supply through runoff. 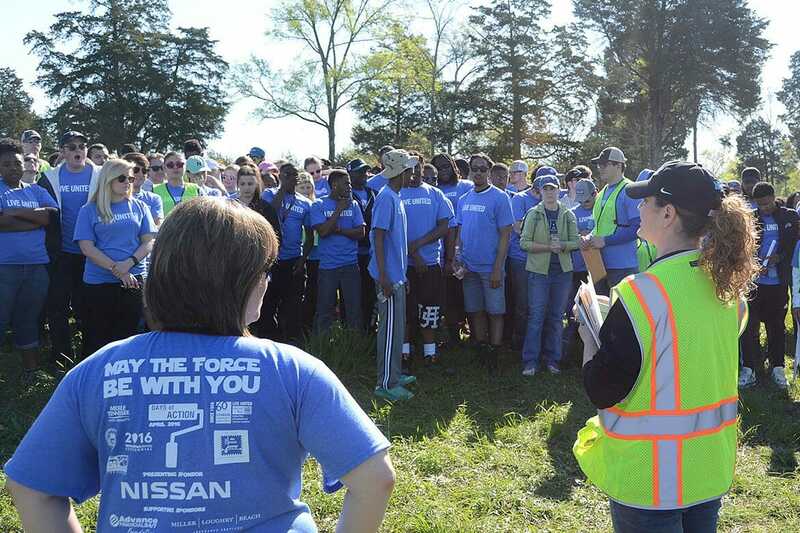 For more information or to volunteer for these events, contact Cynthia Allen with the MTSU Stormwater Program at 615-898-2660, by email at Cynthia.Allen@mtsu.edu or visit the website www.mtsu.edu/stormwater.